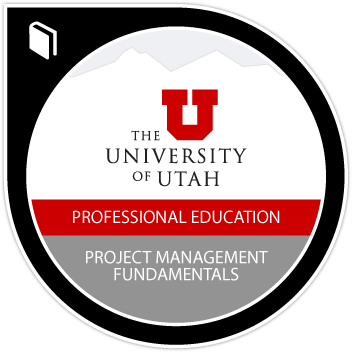 Badge earners have a proficient understanding of project and process management fundamentals that address the Project Management Institute (PMI) Knowledge Areas. They understand critical project management tools and techniques including MS Project, risk management, team building, and project-based communication. They have practiced all five PMI project management process groups including initiating, planning, executing, controlling, and closing. Complete 6 noncredit courses for a total of 50 instruction hours. Fundamentals of Project Management 1, Fundamentals of Project Management 2, MS Project, Project Risk Management, Project Leadership, Team-building and Communication, CAPM Exam Preparation. This certificate teaches to PMI process groups and knowledge areas. Certificate prepares students for the CAPM Exam through PMI.